For beginners and small children, a half hour walk in the picturesque woodlands of South Oxfordshire. For beginners and small children, a half hour walk in the picturesque woodlands of South Oxfordshire, voucher valid for 2. Half a day with ponies, in the beautiful Oxfordshire countryside. 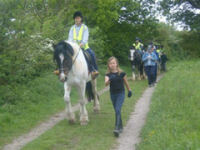 A hack through the beautiful Oxfordshire woodlands, for those who are more experienced riders. 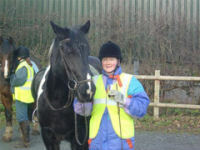 You must be able to confidently walk, trot and canter. 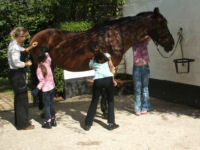 On a typical day includes a riding lesson and a stable management session. 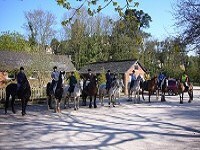 A packed lunch (not included) is followed by a hack through the fantastic woodland countryside. 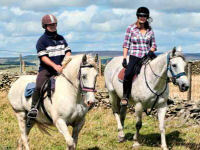 Half a day with ponies, in the beautiful Oxfordshire countryside for two. 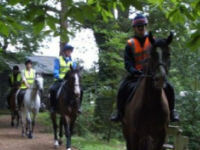 A hack through the beautiful Oxfordshire woodlands, tailored to any ability rider. Voucher valid for 4 people. A beautiful ride accross heathland, woodland and through idyllic Devon villages overlooking the Devon Jurassic coastline stopping for a cream tea at the traditional village of Otterton's famous mill. 1 hours, with 1 hour in the saddle. 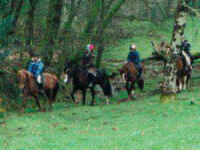 Take a 2 hour trek and enjoy the scenery overlooking the Ceiriog Valley on one of our lovely horses. Suitable for all abilities. Trekking is not just for adullts - kids can enjoy it to. 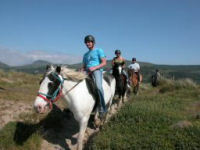 Your opportunity to go on a supervised Trek through a variety of country scenery. 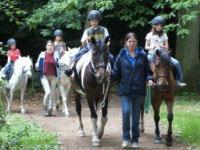 Parents/carers welcome to accompany, either on foot or horseback. Opportunity for you and na friend to do something different on a summer's evening. After a 30 minute trek along the bridleway you will reach the local canal-side tavern for some welcome refreshments. 150 minutes, with 30 minutes in the saddle. Opportunity for you and 4 friends to do something different on a summer's evening. After a 30 minute trek along the bridleway you will reach the local canal-side tavern for some welcome refreshments. Opportunity for you and a group of 5 friends to do something different on a summer's evening. After a 30 minute trek along the bridleway you will reach the local canal-side tavern for some welcome refreshments.